There is a new Darren Shan book in the offering, but the first thing to say is that this is probably not the type of book that you may have been expecting from Darren Shan. It's not a horror/gore-fest - it has none of the normal associated themes of Demons, Vampires and monster-like creatures ripping out each others throats. In fact it is very different to any of the other book series (Cirquedufreak and Demonata) that he is also well-known for. Although the book still reads like a high action ride of terror, it is written in a more traditional style about a brutal nation of warriors. Jebel’s family holds the highest honour; his father is executioner but Jebel is considered too thin to compete to replace him. Humiliated and furious, Jebel vows to regain his honour in a quest to petition the fire god for invincibility. The journey is long, filled with unknown monsters and by the end of it, Jebel isn’t quite sure what he wants anymore. The story is well written with many thought provoking emotions running through the dialogue between Jebel, and his slave Tel Hesani. These leave a lasting affect on the reader, which add a new dimension to the book. The detail that has gone into the plot and the pace of the story are equally very good. It's a brutal ride; covering religious and cult themes that have you chilled to the bone. The encounter with the tribe known as the Um Saga and their leader Qasr Bint is not for the feint hearted or the younger reader. 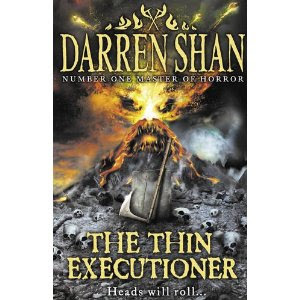 Be warned that this book, whilst different to other Darren Shan books, has not been toned down in any way. I have to say I am a little disappointed with this review. I hope you take my comments as they are intended, which is constructively. First of all, do you proof-read your posts? Your very first line should surely read "Will your head roll...?" Secondly, the vampire series is not known as Cirque du Freak (three words), it is called The Saga of Darren Shan. I am a huge Shan fan and when experienced reviewers make errors like this it really annoys me. Thirdly, a small question. Has the publishing date been changed from 29th April as it states on Amazon.co.uk? Sorry if that all sounds a little negative but I have been reading your reviews for over a year and although I admire your passion for books the lack of proof-reading has annoyed me on many occasions. I would even go as far as to say that this particular review looks a little more rushed than usual - is this a result of some sort of desire to be one of the first reviews published? Thanks for your comments. The date on the proof copy states the date that I have published on the post. Having no press release I have to take this as correct! I think your comments are a little harsh to be made on a public forum when they could have been emailed direct to Mr Ripley instead. However, I also applaud Vincent for leaving them on here. 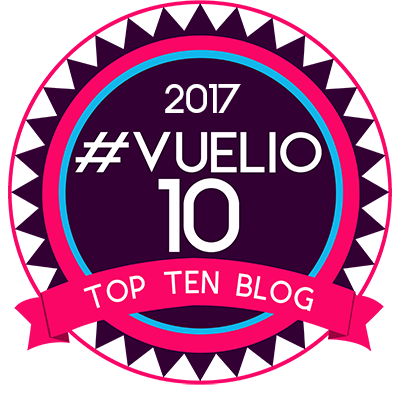 I think some people just don't realise how much time book bloggers like Vincent put into their reading and their blogs, and sometimes errors are going to creep into our posts. Nobody's perfect! Vincent - please continue to provide us with your informative reviews and news posts. I know I am not alone in finding them very useful. I just finished reading this book about 2 hours ago. I read the whole Demonata and im wondering if there will be more books about our wounderfull hero Jabels! I am not sure if they will be another book to this one. I hope so! I will try find out for you and let you know. This book is different from his other books and from my POV, it's got a pretty fresh storyline. I enjoyed it. Umm.. hey guys, im a 12 year old >boy< who loves darren shan books ive read them all, but im reading book 2 of larten crepsley, ocean of blood, but i think darren should make another series of books including demons from the demonta because they're my favourites so far.